Okay class, it’s time for you to memorize this chart…just kidding! Did you realize that after the human body starts forming in the womb, there are a ton of different systems that form? There’s a cardiovascular system, endocrine system, digestive system, nervous system, reproductive system…the list goes on and on. Take a guess which one forms first. Many people answer “the cardiovascular system”, which makes total sense. After all, every body part needs blood flow to develop and function, right? The correct answer is actually the nervous system. In fact, the nervous system begins to form only seventeen days after conception. Most women don’t even know they’re pregnant yet when they’re baby’s brain has begun to form. This begs the question: why the nervous system first? 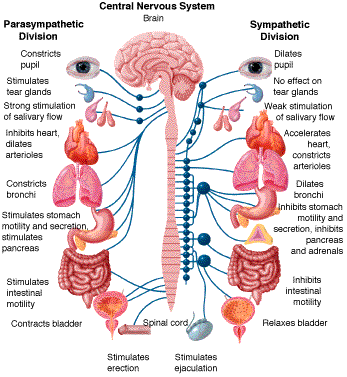 Your nervous system is like the conductor of an orchestra. He’s the guy (or gal) who is directing everyone else on what to do. Your nervous system tells your heart to beat, your lungs to breath, your stomach to digest, your glands to sweat, and your muscles to move, along with virtually every other body function that you can name. This is the sole reason that chiropractic addresses the spine and, more specifically, the nervous system. When you have misalignments in the spine called “subluxation”, it produced interference with your nervous system and thus, dysfunction or disease in the body. Although this can manifest as pain, it can also manifest as any other symptom you can imagine. This is why chiropractic adjustments have been found to be so effective at alleviating so many types of disorders that are not even related to pain. Examples, you ask? Try asthma, allergies, bowel disorders, visual problems, eczema, and even infertility, to name a few. This is not to say that a chiropractic adjustment will cure everything every time. But it’s worth a shot! Chiropractic Adjustments – Dr. Brian M. Moriarty is a chiropractor that has a B.S. from Oglethorpe University and a D.C. from Palmer College of Chiropractic Florida. Loving Chiorpractic of Stuart is located at 630 SE Monterey Road, Stuart, FL Phone: 772-219-3313.